When you’re suffering from chronic toenail fungus or plantar warts, it doesn’t take long to get tired of topical creams and ointments that don’t seem to fix a thing. At Coastal Foot Center in Daphne, Alabama, an innovative solution is offered. 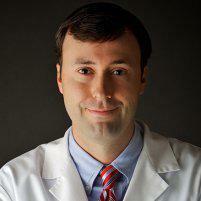 Dr. Joe Griffin, CWSP, FAPWCA, uses the CuteraⓇ GenesisPlus laser to eliminate your condition for good. If you want to learn more about this state-of-the-art treatment and equipment, call the office today or book your initial consultation online now. What does the Cutera GenesisPlus laser treat? At Coastal Foot Center, Dr. Griffin uses the Cutera GenesisPlus laser to treat both toenail fungus and plantar warts. This innovative device is safe, comfortable, effective, and only one of two lasers that are FDA-approved to treat toenail fungus. How does the Cutera GenesisPlus laser work? When Dr. Griffin treats your toenail fungus with the GenesisPlus laser, the light from the handheld device travels safely through your toenail to the fungus underneath it. This laser light destroys the fungus without damaging your surrounding tissue, including your nails and skin. When you have a laser treatment to remove a plantar wart, Dr. Griffin uses the Cutera GenesisPlus laser to target the blood vessel inside your wart. By destroying the wart’s blood supply, the wart begins to die. In many cases, a blood blister forms after your laser treatment, aiding in the destruction of your plantar wart. These laser treatments usually take between 10-30 minutes. For the treatment of toenail fungus, you don’t need anesthesia or pain medication during or after the procedure. For the treatment of warts, Dr. Griffin does administer a local anesthesia before he begins. What are the benefits of using the Cutera GenesisPlus laser? The GenesisPlus laser also features a heat sensor, ensuring its accuracy and safety. As soon as the treatment is over, you can return to your regular day-to-day activities. If you’ve tried creams, ointments, and pills and still have toenail fungus or plantar warts, it’s time to find a solution that works. With cutting-edge equipment, Dr. Griffin can finally rid you of toenail fungus and warts for good. Call the office to learn more about what the Cutera GenesisPlus laser can do for you. If you’re ready for your initial consultation, schedule it easily online today.